Attracting your perfect job can be made simple if you follow the Law of Attraction. Most of us spend more time working than doing anything else, so we should love what we do! If you’ve lost the passion for your job, and long for “something more,” you need to act. 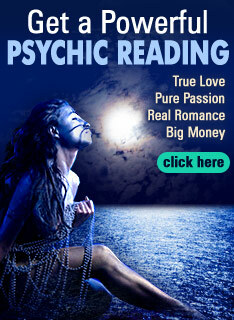 A horoscope or free psychic reading won’t show you how to land the perfect job. These tips based on the Law of Attraction will help you define your job and show you how to attract your perfect job! If you’re working just for the money, you aren’t giving your all to the job. It’s easy to forget that we all have unique talents. So, let’s use them! Ask your employer how to use your talents better on the job. By focusing on our natural abilities, we give back to the world. The Universe will thank you, and send more abundance in return! *Why Search? You May Be in Your Perfect Job Now! Sometimes we are so caught up in the day-to-day, that we forget what we’re passionate about or why we chose the career path we did. And then, we get a case of “Greener Grass Syndrome.” You may wonder what would happen if you were to search for your dream job. Take a little time to write down why you took the job when you did, and what you love about it. By focusing on the positive aspects of your job, you will attract positive energy. Your passion will be contagious, and not only enhance your performance and productivity, but you’ll also improve your work relationships! *Flip the Focus to What You Want! OK, so maybe no matter how you look at it, your job is just not your life purpose. You know you are not happy with it and want to know how to make work more enjoyable. You know you want more. But what? If you don’t know, neither does the Universe! The Law of Attraction will send you exactly what you focus on, so if you’re focusing on what you don’t want or don’t like, you’ll get what you don’t want or like! Flip the focus by figuring out what you want, and you will be sure to attract it! When you see yourself doing something, you are sending a message to the Universe. The more often, and the more vivid you can imagine it, the more likely it will become reality. Vision is the one common success factor shared by countless authors, celebrities, politicians, and CEO’s. They saw themselves doing it, and so it came to be. You can manifest anything by the power of your vision. See what you want for your career, and really believe it. Picture it so clearly, and act as if you are already in the position. The Law of Attraction will use your energy to bring your perfect job to you! Im middleaged and Im still uncertain what my career path should be.After years of working doing almost everything how do I know what I should stick to? To be simple, to get your dream job or a perfect job, study well and work hard. Keep your aim focussed and work for it. Surely you will hit it. Have Feng shui features as a supporting feature which may assist you to climb the ladder. But it itself will not give the job for you.Remember that. There actually is 'greener grass on the other side' But it doesn't apply to all of us, most of us if I may say. The point is to think twice or how much you may need. Finding a job is not that quite simple. You have to start all over again. Hrn, you know, taking an article that is nearly three months old and putting it at the top of the page doesn't constitute a "New article". Netizen, You are talented if to say you really are a jack-of-all-trades. You have that ability to cope up with lot's of things I'm guessing. Try and concentrate on a few to be 'master' of it as told by you. Try focusing on what you really like, 'the law of attraction', as this article points out. I believe that there is a grass greener on the other side because I was a teacher before and the pay isn’t that good. My previous boss is too greedy that he won’t pay what we have agreed upon the contract. I have resigned and a few days, I found myself another job teaching professionals on how to use computers. As Tammy says, what if I don't know my natural abilities? I find I can become reasonably proficient at whatever I put my mind to, not robotics. But I am Jack-of-all-trades and master of none. I guess I have to follow a hit and miss routine till I come across something I'm really good at. That grass still looks greener. Absolutely gorgeous tips. This is one of the best articles in the world concerning job finding. This is exactly what everyone dreaming of a better job should read in order to feel fulfilled and to get that dream job closer. Thank you very much. This is what I did to get my job, and it worked like a charm!